Make a good first impression. You want to freshen up the landscaping and exterior paint, plus consider purchasing a few new items, including a garage door, mailbox, exterior door and house numbers. Clean the driveway and walkways, and get the cars out of the driveway and from in front of the house. Clean, clean, clean. The property has to be in pristine condition when you have the open house. That could mean hiring professional house cleaners, having the windows washed and having the carpets cleaned. Stage your home with furniture and accessories. If you're living in the house, consider some small touches such as fresh towels in the bathroom, vases of flowers and a few well-chosen accessories. With furniture, less is often more. Wild-colored walls should be painted and, depending on your budget, you may want to paint kitchen cabinets, add new hardware or change faucets. Get rid of clutter. If the house has too many pieces of furniture and knickknacks, it's hard for potential buyers to see the home's features. Sellers should start packing before the house goes on the market, making the home as sparse and streamlined as possible. Remove personal items. Homebuyers want to walk into the house and visualize it as their new home. When a potential buyer sees your family photos and your children's crayon drawings on the refrigerator during your open house, that becomes more difficult. Remove pets if possible. Dogs, cats or other pets should neither be seen nor heard during the open house. If they can't be removed from the house, they need to be confined to a less trafficked space. Spread the word. 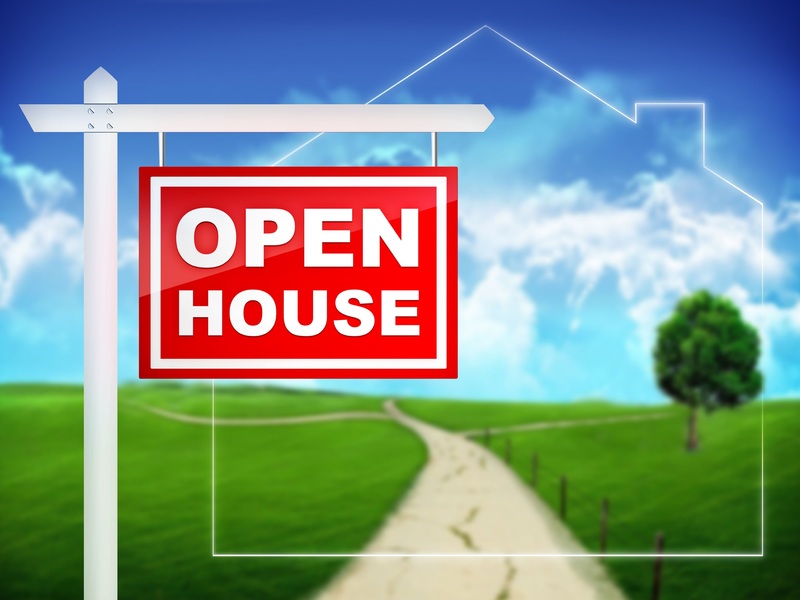 Make sure your open house is listed in the multiple listing service as well as on all the major real estate portals Share the information with friends via email and social media. Your Realtor will share your open house on all their companies websites too. Put up signs. In addition to putting a sign on your front lawn, put signs at major intersections directing people to the house. Tying balloons to the signs makes them more visible. Let there be light. Open up all the curtains and blinds and turn on lights in every room, even on a sunny day. Protect your belongings. Remove or lock up any valuables. Your agent cannot be in every room with every prospective buyer at once, so be smart about what you leave out. Provide information. Your agent should provide information for prospective buyers to take with them, including a brochure or flyer with photos of the house, information on comparable home sales and perhaps school or community information. Many times neighbors attend open houses, even if they're not looking to move, out of curiosity. Most agents encourage that, and some even send flyers to neighbors because they may have friends and relatives who are looking for a home.